In a flashback to the initial walker outbreak, Shane attempts to evacuate Rick but is unable to do so because of soldiers executing the hospital staff and walkers breaking into the building. Thinking Rick is dead, all Shane can do is barricade Rick's door and flee the hospital. In the present, the group enjoys an ephemeral normality amidst the comforts of hot showers and wine. 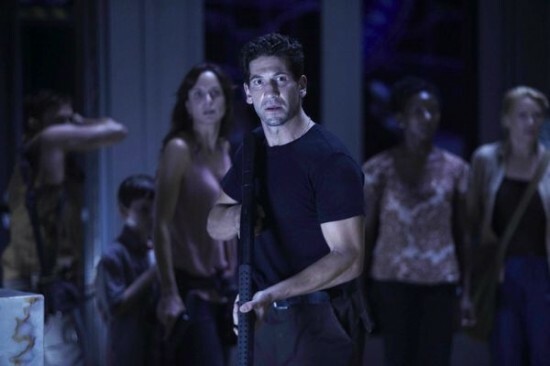 A drunk Shane seeks to defend his past actions to Lori, telling her that he had been certain that Rick was dead. He tries to force himself on her sexually but she fights him off. The next morning, Dr. Jenner explains to the group, using a computer model called Test Subject 19, the process in the brain that takes place when a person is bitten and then partially revived as a walker. Subsequently the group discovers that a timer in the lab is counting down to the exhaustion of the building's power supply and that when it hits zero the building will "decontaminate" by self-destructing. Dr. Jenner locks them in, telling them that such an end is humane, and that their deaths will be swift and painless. The group, however, believes they can survive, and attempts to break out. Rick convinces Jenner to release them; Jenner does so and tells him something inaudible before the group flees. One of the members, Jacqui, tells them she will stay no matter what, and die with Jenner. Andrea chooses the same fate, but is convinced by Dale to leave with them. They narrowly escape the building before it explodes, and then proceed to drive off. Whole or part of the information contained in this card come from the Wikipedia article "The Walking Dead (season 1)", licensed under CC-BY-SA full list of contributors here.